Welcome to the Lenscrafters complaints department brought to you by HissingKitty. Experienced poor customer service? We make it easy to file a formal complaint against Lenscrafters online. Simply use our free form and your feedback will be instantly forwarded for review. Need to contact the Lenscrafters corporate office? We have the mailing address, phone number, and email address listed below. Been using this office for over 15 yrs never a problem until Manager Andrew worst customer service ever!! Ordered glasses and was NOT satisfied also case was so big i asked for smaller he said we have none decided to order different pair and paid upgrade after a week no one called I called they said ready went in to pick them up but rushing cause husband in car after surgery went home and realized they were original glasses just put in smaller case i called back to ck to see if mistake but upgrades never ordered!! Spoke to manager Andrew and explained he never apologized or even sounded concerned cause this was done on purpose!! Very inconsiderate uncaring and rude! !Terrible customer service all the way around glasses never ordered!! 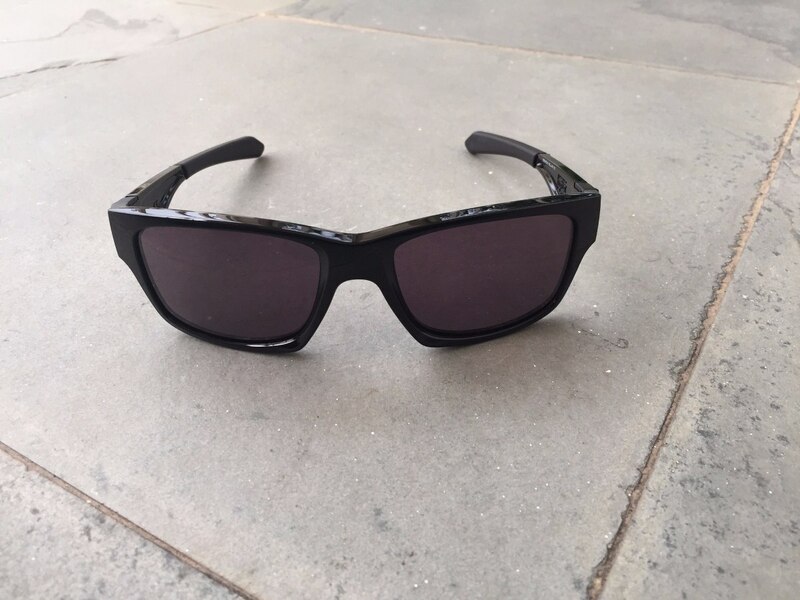 I purchased a pair with scratch resistance and a coating to change to sunglasses in the sun. Less than a year they failed and the coating was looking all scratched i went to the Lens Crafters in Fairview Hts IL and was told there is nothing they could do but sell me another pair. I originally paid approximately $700.00 and not 1 year and a couple of months i have to buy another pair? what the hex! but they could sell me another pair for a discount,imagine that. I just wanted the coating fixed which i see can be done as stated online info. I guess that was not a good sale for them. I will tell all my friend and face book followers they are not about a satisfied customer it all about there commission, check all the other complaints seem to be saying the same. I just walked into one of your stores in Joplin Mo. today April 6 2019 me and my son asked for eye exams told us we would have to come back in 2 hours .and wanted me to schedule a appointment. I do not live in Joplin and i do work and a single parent so weekend is the only time i have to do our eye exams . we have been return customers to you for 3 or 4 years now . And we will probably not be back. There was no other customer in the store and they were all setting around doing nothing . so two eye test for me and my son would not have hurt them . We buy all of our glasses at Lenscrafters. We were recently told for the second time that the frames we purchased could not be repaired due to the fact that the screw by the temple broke off. This is the second pair this has happened to. We are being told (again) we have to buy new frames and lenses because this problem cannot be resolved. Obviously the question we ask is why does Lenscrafters not have a way to fix this. Yes I talked with someone in your lab and they explained the situation and the tool that they have to try to fix this. Needless to say it did not work. Paying over $1500 for three pair of glasses because of a small screw is just not acceptable. The frames our daughter has are no longer offered. Same as before. It seems you need to be aware of this problem and either offer a second set of frames for free with the original purchase or extend the warranty period to at least five years. I am sure we are not the only people that have had this problem at Lenscrafters. At this point I feel we should be offered a free pair of frames. We will have to eat the lenses, of course. We should also be offered a five year warranty on the frames and lenses (unless the prescription has changed). This would be fair and also give Lenscrafters some time to eliminate this problem. To be honest, this problem should have been corrected some time ago. Please respond to this email with what your solution might be. The store we went to is in the Westgate Mall in Annapolis, MD. Purchased sunglasses. The frame an color not in stock. I ordered based on the verbal agreement I could get them darkened tint at the location. I origionally ordered gray, but was told by the sales associate that the upgrade only came in blue, In the store the sales associate also sold me that upgrade to Polaroid and a darker lens for about an additional $60.00 — and that amount was charged to my credit card. Three days later I am told that the original order was lost and my order was cancelled. No explanation and the sales associate did not understand the explanation, either. They lost the original order and that’s my fault. I have expensive pair of sunglasses that are not sunglasses. I am very dissatisfied with the service of Lens crafters. The sales associate informed me there was not a number to call, there is no way to contact lens crafters except through the store. See how that’s working out. This is the worst customer service imaginable. 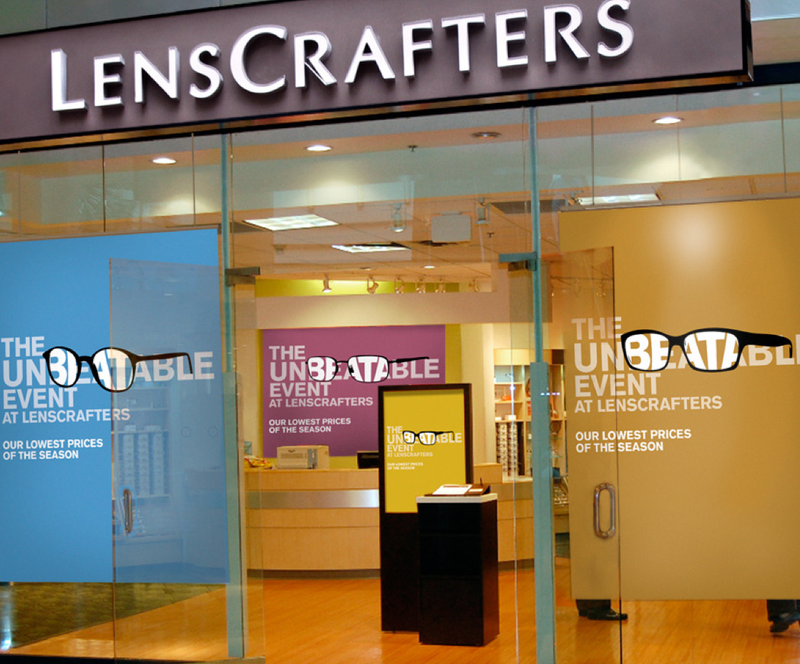 I have heard negative reports, but as a long time satisfied customer I continued to patronize Lens Crafters. No more. I’ve paid and haven’t received what I prepaid for. Scam. The Doctor who did daughters eye exam was extremely rude. He seemed very annoyed like he did't feel like working. Dr. Michael Chin called my daughter for her exam did not greet us or introduce himself like MOST DOCTORS do. During the exam my 10year was asking a few questions and his responses were very short and stern, he cut her off continously not even mid sentence as if her questions did not matter. Beyond disgusted with this place, after the exam my daughter felt so uncomfortable that she did not want to look at glasses from lens crafters. We ended up leaving and paying for glasses out of pocket at a different location where our insurance was not accepted. I will never again bring my daughter to this place, i would prefer to pay out of pocket instead of dealing with terrible doctors like Michael Chin, i have never had anyone rush my daughter through a eye exam. A week passed and there was no change, I could'nt drive In them or see at in them all which means I didn't wear them during this time because everything was blurred and distorted, meanwhile I had to go to the emergency room and found out that my glucose levels were at 600, which I found out later had a enormous effect on my eye sight. as soon as I found that out knowing I had just got new glasses I contacted Lens crafters and advised them of my situation, I believe I spoke to a ( Denise not positive on the name but the notes should mention who I spoke with as the notes were clarified when I went back on 3/10/2019) that I will probably need to have the lenses I just bought adjusted, She advised me that if I would bring the glasses back before May of 2019 that they would adjust my glasses at no additional cost to me. Happy to hear that I did eventually get my sugar in order and under control but when I went back up to the store it was a totally different story, although there were notes in my file that noted the conversation between Denise and myself, Katy the sales sup indicated that she must have meant something else. And Amber store manager consigned that the notes or what I was told could not have meant what the notes said. And that I would need to pay a copay before they could honor what was told to me in the first place. I am bringing this to corporate because at the store level I felt like they thought I was making the whole thing up and that what was said to me had no or carried not relevance. and that they would in no way honor the initial conversation. I was then told the only way they could adjust my lenses was if I paid a $25.00 copay (which was never mentioned in the initial conversation with the person I spoke to on the phone back in June of 2018.) So being so distraught I advised them that I would return because I wasn't prepared to pay the copay they were asking for, the sales rep (not sue of this name) stated that If I didn't allow them to make the change that day and pay the $25.00 copay that what they were offering me that day probably not be available when I did decide to come back.like it was some kind of sales offer or something! that made me more upset. I felt like I was not told that truth from the start. I was under the impression all this time that I had until May of 2019 to bring my glasses back without any questions and have my lenses taken care of because of my situation, because that is what I was told. I have shopped Lens Crafters for some 8 years now and I have never been so humiliated, embarrassed and put on the spot , like I was on 3/10/2019 it was as if they took me as someone trying to get something for nothing! All I am saying is that if there was a copay or any other payment that was needed when I returned then I think that should have been brought to my attention in the initial conversation, that way I would have known what to expect. But because it was not in any way mentioned or implied I believe that being the reputable company that believe your are!, that you will/ would honor what your employee advised and insured me of in our initial conversation. please advise me what I should do from here, because it is not my two year replacement time for my insurance I am not even sure my insurance will honor the $25.00 copay. I purchased a pair of progressive lenses to the tune of $750.00 on 12/14/2018 and saw the eye doctor at that location. When I received my glasses I could not see out of them at all. I was then given another eye exam and it was found that it was the wrong rx and they replaced my glasses. The new ones came in and I still could not read but could see distance. The doctor told the lady from lenscrafters to check the dots on the glasses. She did and decided they were wrong and sent my glasses back again. I got them back again and I can read out of them but I cannot see my computer without looking out of my readers. I came back and told the manager of the issue and he told me that he was very sorry of the problems I was having and that he would take care of it and he thought that if he used some special kind of lens material that it would correct the problem. That it was an extra expense but that lenscrafters would cover it. He said he would order the new lenses and they would be in in about 2 weeks. 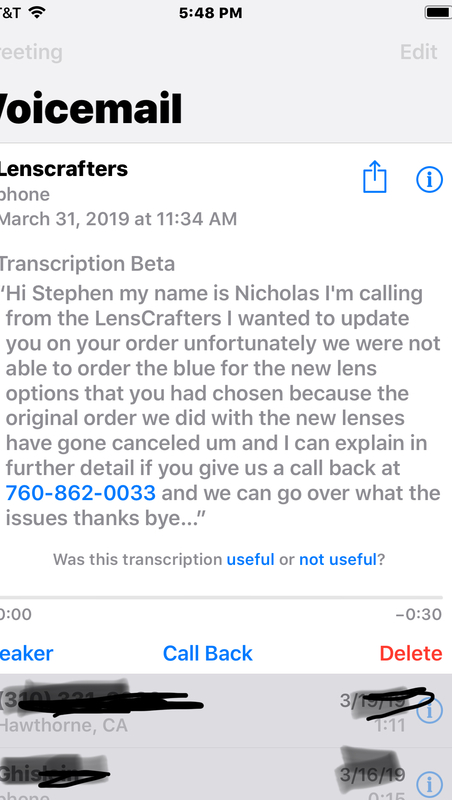 I hadn't heard back from Lenscrafters so I came in on Friday 2/22/19 to check on them. When I got there, associate Betty Boykin looked for my glasses and could not find them. She then checked my chart and said she found no order for them. I described the manager and she said that he quit. That he just never showed up for work one day. So, she said her assistant manager would be in at 4:00p which was 5 minutes from the time it was so I said I would gladly wait. When he arrived she explained to him the issue and he came up to me and told me that there was nothing wrong with my glasses that I was suppose to look as my computer with my reading part of my glasses. I told him that wasn't true. and he then said yes it is and I said no it's not and he said yes it is. Like he was bantering back and forth with me. He then took me over to a computer and acted like he was showing me the computer screen and that you were suppose to position your head with it tilted back. I told him that there is a middle section of the lens and I asked him, "what is that called"? He said, computer lens. I said well then that's what you are suppose to be looking out of. His name is Brian Williams. So, then he went and grabbed the iPad where my chart is and then started scrolling back in it and started saying looks like here you have returned quite a few pair of glasses. I told him we have had troubles with this pair of glasses, yes. He said no, so why did you return these in 2017? and these in 2017? and then these in2016? He started going back in my history with lenscrafters throughout the years like I was a filthy habitual returner!!!!!! Now I do not discriminate against people from their sexual orientation and I have several gay friends but this guy just got very flamboyant and started embarrassing me in front of customers while he flipped through his iPad through the years asking me why I returned my glasses. Then when I asked him just to give me my money back, he said I don't think so! and was very obstinate. I then asked to speak to his supervisor and he said you are looking at him. I then said then do you have a number to corporate and he said no. Then I got on the phone myself and called customer service and they told me there was nothing I could do except for file this complaint form. I will tell you. Someone better get back to me on this or I will be going to someone on this. Social media is a powerful source. I just want my glasses right and to be able to see out of them. I should have known better when I first came in and the old guy next to me said he was on his 5th pair and they still hadn't got them right. Obviously you guys have a pattern here and it's not the customers. I cannot believe the kind of people you have here working for you. Who would insult the customer. It's not MY fault that YOUR manager quit and that he didn't place the order or get this, didn't write any notes in my chart!!!!!! AND apparently, nobody else has been writing notes in my chart because this guy couldn't even see why my glasses have been being exchanged each time and if I have been seeing the eye doctor!!!!!!!!! What kind of charting do you guys have going on here!!! I am an Registered Nurse and I know all about charting and keeping up with what is going on in the medical chart. Maybe I need to get a lawyer involved???????????? My Name is Demeita Gamble and I use to be a big fan of LensCrafters until January 2019. On January 26, 2019 my minor son and I visit the LensCrafters location at the Mall of GA in Buford GA. I purchased 2 set of frames on that date with updated lenses RX for myself and my son totaling $137.91 out of pocket after insurance. A week later I called the store to check the status of my frame purchase after not hearing from LensCrafters. On that date I was told by Marcie (floor Manager) that the Rep Jade took my money but did not order my frames. Of course I was not happy. Marcie was very apologetic and stated that she will make sure that the order is placed. When I went back to LensCrafters for the second time. My Versace frames were not back but, my son frames were. Jimmy (Rep) assisted me. When my son tried on his new glasses for the 1st time he stated that he could not see thru them. Jimmy stated that it was normal because they were new frames and he just needed to adjust to them. I then told Jimmy "NO". This RX were the exact same as his current lens none thing changed. Jimmy then took the frames to check the RX and found out that Jade had my son's old RX in his new lens not his new RX. However, his new RX was in the systems as well. Jimmy tried to come up with some type of excuse. I quickly stopped him immediately. Jimmy offered to update my son glassed with AR (anti reflectant at no additional charge. I accepted that offer because my son really liked his frames. I asked Jimmy to have the Manager call me. I ended up calling back and spoke to Marcie. I asked Marcie for some type of discount due to the inconvenience. Marcie offered $25 off my frame purchase. I felt like it was not enough given all that I've been thru. When My frames finally came in on 2-2-19. I went back to the store for the 3rd time to get my measurements. Marcie assisted me. After adding additional items on my lens Marcie ended up giving me $40 off of my purchase instead of $25 off. I ended up paying and additional $185.00 on that date out of pocket. On February 10th I called to see if my lens arrived. I was told that they should be in on the 12th. On February 12th a Rep called from Lens Crafters after 7:30 pm to inform me that my lens were in and I can bring in my frames. I can not remember her name because it was so late in the evening. I told the Rep that Marcie kept my Versace frames at the store. She placed me on hold and found the frames. The Rep told me that I could come within 1 hour to pick up my glasses. Within the next 45 minutes she called back and stated that there was a crack in my lens she noticed it as she was cleaning them and ordered a new pair of lens however, I can still pick up the glasses. REALLY. I asked her to have the Manager Brian call me. The next day I did not receive a call from Brian. I called LenCrafter around noon the next day. I spoke with Brian whom was not apologetic. Brian said that the glasses were fine and I could pick them up anytime. However, a new pair of lens were ordered anyway. I told Brian that I have been going back and forward with this store for too long due to too many error by the employees their. I asked Brian what can be done for all of the inconvenience. Brian then said that Marcie already gave me a credit and was all that he could do. I asked Brian for the total amount that I've already paid. Brian said you paid $116 and $185. I was shock because I really did not realize how much money I've spent out of pocket ( I guess it did not hit me because I've been going back and forward with different issues). I told Brian that I wanted a refund. He said ok since I paid with a card I had to come back to the store. I went back to Lenscrafters for the fourth time. When I arrived at the Buford location I was greeted by an associate. I informed her that I came in for a refund. The female associate did not ask me my name she stated that she would be with me shortly. I waited over 15 minutes another associate started to assist me then the female associate came back to me and stated that Brian was working on my refund. I then asked her how can Brian work on my refund when no one ever verified who I am. Brian did not introduce himself. Brian did not call me over to the area where he was located to inform me of what he was doing. The female associate pointed Brian out to me. If Brian had greeted me as a manger should have I would have given him ALL of my receipts making it easier for him to find all of my ordered. Brian did not give any eye contact. Brian Nardelli only pointed to card machine and told me swipe my card. Once my transactions were completed I asked for my receipt and the number to the Corporate office. When I asked for the Corporate number Brain became very concern. I did not say anything. Brian Nardelli is a rude Manager. Brian is not a good look for LensCrafter. I hate to say this however, I really felt discriminated against. I purchased frame & lenses June 2018 & extremely disappointed in them. I have purchased my last few prescriptions from Lenscrafters (Ft Myers) & been pleased. I moved to Lakeland & tried Lenscrafters and am very disappointed. The glasses hurt my nose & every time I go in they say it’s the nose pieces. The nose pieces have been changed 4 times & the problem continues. The left lens falls out & the lenses are absolutely impossible to clean, with your lens cleaner that I also purchased. They smear & stay foggy continually. I sincerely hope there is something you can do. I am on a fixed income and eye glass purchases aren’t cheap. By th way I went to your location on S Florida Ave in Lakeland. Store #2330 Location: Woodbury Commons, Harriman, New York 10917. I'm a senior citizen 73 yrs. old. Appt. 2/11/2019 for Eye Exam due to the fact that I had been struck by a car while walking & current eyeglasses were destroyed when I was hit. I called prior to going for appt. and confirmed that the necessary PD measurement would be done at the time due to the fact that I wear PROGRESSIVE lens. Upon arriving, I was interviewed by JAMES & I again asked before I would have the exam that a PD measurement would be available. He stated, YES, but didn't what it was or how it would be done but to speak with the Dr. Are you sure, it will be done, yes. I was seen by the Dr. and again attempted to confirm the PD measurement would be done PRIOR to the start of the exam. I was told : "YES". Dr. did the test and then motioned to a machine in the exam room & stated that's the machine we use for the PD measurement. But, I'm going to use a ruler instead. She took a measurement that was allegedly supposed to be PD measurement, as it turned it wasn't & was useless. There are 2 measurements required Distance & Near. She wrote one number in pen on my paperwork. I stated that I have had this done before & 2 numbers are needed for PROGRESSIVE lens. She nothing. I went to register & paid for the RX. Upon reviewing my previous eye care history I discovered that the RX that had been done on 2/11/2019 was actually incorrect because the test that she performed was totally different than previous years & if I were to use the RX from 2/11/2019, I would have been able to see as the strength was WEAKER than years prior. Also reviewed my PD measurements from previous PROGRESSIVE scripts & they all included 2 numbers - distance/near measurements. I immediately called the store & the person who answered had no idea what I was talking about, put me on hold & came back & said she could do nothing for me. She hung up. Later I received a call from Dr. who had no clue either & stated I would need to speak to "store manager, MIKE. He got on the phone & stated that they would never have promised me a PD measurement UNLESS I purchased frames & lens from them. He stated that one in the store could actually do it & again unless I buy frames & glasses at a cost of over $500. no PD measurement & the measurement is not disclosed. Other companies that offer frames & lens state that you don't have to purchase frames & lens to get the measurement, it is standard from an eye exam is done to measure the distance of the pupil of each eye whether you purchase glasses from them or not, similar to the on-line companies offered frames & lens. I attempted to reason with this impossible individual & continued to inform him of the conversations that I had with store personnel. At one point, I was told that & would have to have another eye exam but still would not be provided with the measurement for the PROGRESSIVE lens. I now have a RX that is useless because it is incorrect & lucky that I caught the mistake. I was deceived & lied to by the manager & store personnel and now need another exam in order to get the correct exam results & PROGRESSIVE lens. I tired calling the Company but got nowhere, please help me. If at all possible I would want a refund for my exam and I can provide my previous RX for evidence ....This company only cares about the $$$ not the customer & will tell a senior citizen whatever they think will get them a sale. Shame on them. I drove almost 2 hours to this location as I live out of state & my husband who drove me recently suffered a heart attack. I purchased a pair of Tiffany sunglass frames. I took them to Lenscrafters on 1/21/2019 to order the prescription lenses. My salesperson was Kerry. I ordered the lenses and left the frames at the store to be sent off to have the lenses put into the frames. I never received a call informing me that my sunglasses were ready so, I stopped by the store on 2/10/19. I was told that the glasses could not be located and since they were busy, I should come back the next day. I returned to the store on the next day, 2/11/2019. They checked the system and confirmed that there had been a delivery for me. They looked for the glasses and told me that they were still not able to find the glasses. I was told that they were probably lost in shipment and that a new pair would be covered by the store. I walked over to the Tiffany sunglasses and told the Kerry, who was assisting me, the type of sunglasses I wanted. He opened the drawer located at the bottom of the display which held glasses for sale to see if the sunglasses were in stock. The glasses he pulled out of the display drawer were my sunglass frames! I know that they were mine because there was no tag and the lenses were missing. The lenses were removed initially when I left the glasses at the store. Kerry then went to the back and discovered that my lenses had been delivered uncut because no glasses were sent with the order. As a matter of fact, the lens envelope had a note written on it that stated customer did not leave frames. The statement definitely was not correct. So, I was told that the lenses needed to be cut and put into the frames. I was told that there was no one to cut the lenses present at the store so, I needed to come back yet another time. I told him that I would pick the glasses up after work. I arrived at the store after 5:00 pm. The lenses had not been cut and the glasses were not ready although the person who cuts the lenses came in at 1:00 that day. As a result of the terrible service at this store, I told them to refund my money. I nor my two sons will ever patronize this store again.The service was completely unacceptable. Rude ladies and not helpful at all. They act like they r there just for a paycheck. Never going back. I went to the Lens Crafters in East Cobb- Marietta Georgia and the experience has been terrible. The associates were terribly rude and clueless. On our second visit in - the staff was very rude and one associate was eating dinner at the desk while we were waiting. We ordered glasses and asked that they be shipped to another Lens Crafters out of state and we would pick them up there (kid in college). We were told it would be no problem- when we called to inquire if they were ready- they first told us they were picked up from that store- so we were on calls all afternoon trying to track down the 350.00 glasses- then they told us it was a system error and that they were in route to the other store. When we called the following day they were to be delivered- the East Cobb store said they did not have the address to the other store and would we please call back with the manager name and address??? This has been a total nightmare- I will never do business with Lens Crafters again and we will be returning the glasses- provided they find them! The East Cobb store needs a total overhaul or they'll be out of business. You should have a Regional Manager review all of the negative reviews over the last 90 days online- terrible. Yesterday 1/7/19 my husband an I arrived at Lenscrafters around 4pm. We were not greeted and had to find an associate for help. We were told to wait and that was fine. Lisa, an associate approached us and began to help us. She was extremely rude, when my husband told her that we wanted basic lenses she said, "you can't put plastic lenses in Ray Ban's" in a very sarcastic and demeaning way. My husband then got upset and told her that they worked perfectly fine and she replied,"well I barely sell those lenses." Still in a very demeaning tone. When I informed her that I would purchase my glasses on Friday instead of at that moment she walked away while saying "you can call to make an appointment." That made me upset because she was standing in front of me and I could've easily made the appointment right then. So we walked out, we left. The service was appalling, we have been customers at this location for a few years and we will not be returning! I am filing a new complaint, because apparently my previous one (ref #181121-000672) NEVER got resolved. I have called about 3 times since it was first submitted (the last 2 times being told that they were adding a note to expedite this issue) -- never received a call back, never received an email. The last time I called was before Thanksgiving. Nick at Lenscrafters Macy's in Tukwila, WA, went ahead and gave me my refund of 65.00 which was randomly charged to my account. That was two weeks ago and I have not seen the refund show up in my account yet. So I called him back AGAIN today asking why it has not shown up yet. Maybe it's still processing, but frankly I am tired of reaching out to you people with ZERO RESULTS, especially since I have already filed an original complaint and have not heard back from ANYONE despite several attempts of me reaching out (even emailing you screenshots of the $65.00 charge which supposedly you guys couldn't even view on your end). I honestly feel like taking a further step of action at this point. I bought and paid cash for glasses at you Mesa, AZ store in Superstition Mall $179 paid in cash. Then I learned my insurance paid 100% up to $200.. The clerk/and the store manager say I am only getting back $63.00 because I dont get the sale price if I use insurance. So I take issue with that procedure AND the clerk accused me of being beligerant adding insult to injury. I HAVE NEVER HEAD OF A RETAILOR CHARGING MORE CAUSE YOU USE INSURANCE. So I feel I am being ripped off of about $120 whilst being insulted for my bad vocal cord. I would like someone to call me asap about my horrible experience at this location. I had to book my appointment 4 times just to arrive and be told sorry we made your appointment incorrectly we will have to reschedule you again. When I asked to speak to a manager I received nothing but bad customer service as if I made the scheduling error.. After 7 minutes of hearing them speak badly of me when my daughter is in the waiting area the manager Tracy finally says "ok we will fit her in but its $45 and your insurance doesn't cover it" Never said price was a concern of mine so why mention it with and attitude like I'm brothering you. I HAD been a customer of Lens crafters for over 10yrs as of today I no longer need the stress! I will spend my money with a company who appreciated customer loyalty and can so me respect and customer service. I would like someone to contact me immediately. I was at your Square One location at around 3:30PM September 1st 2018 and was looking to purchase a pair of glasses, I also got an employee to do an adjustment on my current frames. Upon arriving home I notice he burnt the edges of both my lenses. I want to know what I can do about this? At the end of May 2018 I had an exam and purchased a pair of Ray Ban trifocals. When the girl put them in a box she gave me a pair that had been tired on several times. I questioned this but was reassured they would adjust them. I have been receiving glassed there for over 20 years. Before I was always given a pair out of the drawer. My glasses are to stretched out and I am pushing them up on my face 5 times a minute at least. I returned 4 times the first week. They would adjust them and with in an hour they were right back stretched out. They told me it was because I wear makeup. For 2 months I was in there every week sometimes twice. They blamed me for wearing makeup and told me I needed a special makeup with powder. My old glasses fit fine and they are ray bans. No one would do anything to help me. I have even purchased nose pads and they still fall because the bows are so stretched out. Please help me I cannot afford another pair of glasses. On Sunday, 7-15-18, I called the Capitola Lenscrafters to schedule an eye exam. Regina answered and was already irritated. After placing me on a brief hold, I told her I would like to schedule an exam for next weekend. She didn't seem to understand and was quite rude about when 'next weekend' was and proceeded to tell me that next weekend is July 28th and 29th in a rude tone, and asked me for a third time when I want to schedule the exam. I told her next weekend is the 21st and 22nd and today is only the 15th...I called her on her poor attitude and asked to speak to her manager. She claimed to be the manager so I asked to speak to her supervisor and she claimed Autumn is her supervisor. Autumn and I played phone tag on Sunday and I have yet to get a response to my last message. I'd like to know why I was treated so poorly with a rude attitude. I was being nice and Regina had no reason to lash out at me. Regina should be relieved of her job from Lenscrafters because she obviously doesn't have the customer service skills required to work retail. Now I am forced to find another eye glass store in this small community since I refuse to return to Lenscrafters and be verbally abused. I purchased a box of lenses and noticed my vision for distance wasn't the greatest. 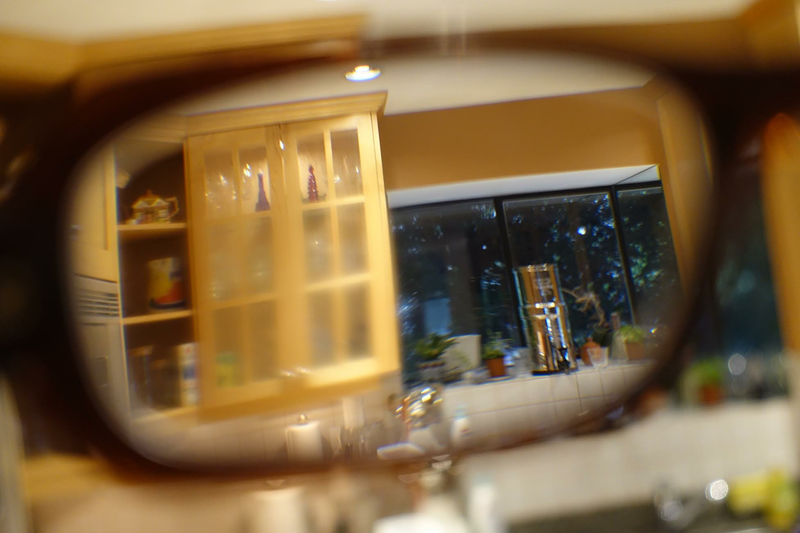 I returned to River Oaks Lens Crafter and followed up with eye doctor, after a few test I tried lenses for distance. Five days later, since I couldn't return original purchase lenses, I bought the lenses for distance. On numerous occasions, I asked the sales representative to make sure I'm purchasing the correct lenses which I was told yes. My second purchased lenses were picked up on 7/10/18. I'm wearing the newly purchased lenses today, and I noticed they are the same I originally ordered. Also, it appears the prescription are the same as previous purchase. These lenses are good for up close but not good for distance. I'll be returning back to River Oaks LensCrafter today. However, at this time, I'm requesting a full refund of all four boxes. Again, this prescription is for up close vision, not distance. I prefer the vision for distance which was expressed to the eye doctor. It's unfortunate the time, gas, and money spent to travel to LensCrafter just to receive a duplicate prescription isn't good customer service. At this time, I will not pay any additional monies for the lenses I want and this mishap should warrant me a full refund from both purchases or definitely the second purchase. I asked the techntion not to use cameras due to sensitive eyes. She did it any. She used OPD - scan111 which injured my eyes and caused severe symptyms in my eyes and anxiety. I was unable to focus and have nerves affected,severe eye strain, and a lot of reflections and light sensitivity. Dr Steven Labroff was unprofessional, uncaring, abrupt. And lied to me. And said I was making untrue accusations.This experience is unacceptable. On April 9,2018 I had an eye exam and purchased glasses. I told them I wanted to order a new pair of glasses from the supplier I didn’t want the glasses on the shelf. I left the store and about an hour later received a text message saying my glasses were ready I went back to the store and told them I just said not even an hour ago I wanted to order new frames and didn’t want them off the self. So after wearing the glasses for 2 weeks I had never wore them a night I usually had my contacts on, but this particular night I was wearing my new glasses and I couldn’t see a thing everything was blurry and I damn near got killed on the fwy trying to get home. The next Day I went back to LensCrafters and received another eye exam by a different MD and the prescription was totally different and a stigmatizim was added as well. When I picked up the new glasses after a few days I was able to see right away a considerable noticeable difference, but there was one other difference as well they had switched my frame. The tech Eddie stated they were probably mixed up in the lab those frames they gave me were stretched out old looking and the sériel number was partially rubbed off; the glasses were falling off my face. Now I’ve paid $260 in cash plus over $250 my insurance paid over $500 and I don’t have any glasses at all they said they can’t even order those frames they are out of stock so they have have my $500 and the glasses and I have nothing. It’s been 3 days and not one person from that store has reached out to me apologized or given me a new frame. I was my insurance credit because I’m going to call them and tell them it’s fraud because I don’t have any glasses and I want my refund of my money I paid. I ORDERED GLASSES 03/28/2018 AND CAN NOT GET THEM. I HAVE CALLED AND BEEN GIVEN SEVERAL DIFFERENT ARRIVAL DATES. I CALLED SUNDAY 04/15/2018 AND SPOKE TO SEGAN ANDERSON. HE IS THE RUDEST PERSON I HAVE SPOKEN TO IN A LONG TIME. I AM UPSET BECAUSE I CAN NOT GET MY GLASSES AND TOLD HIM I PROBABLY WOULD NOT USE LENSCRAFTERS AGAIN. I TOLD HIM ALL OF MY FRIENDS AND COWORKERS ARE ASKING WHY I HAVEN'T GOTTEN MY NEW GLASSES AND I HAVE TOLD THEM THAT I CAN'T GET A STRAIGHT ANSWER FROM LENSCRAFTERS. MR ANDERSON STATED " YOU CAN TELL PEOPLE WHATEVER YOU WANT TO, WE DON'T NEED YOU OR YOU FRIENDS, WE HAVE ALL THE CUSTOMERS WE NEED AND THERE WILL BE PLENTY OF CUSTOMERS WALK IN." I DID NOT SAY ANYTHING UGLE TO HIM BUT HE TOLD ME HE"WOULD NOT STOOP TO MY LEVEL". HE NEEDS TO BE REPLACED. I SPENT A LOTOF MONEY FOR GLASSES THAT I HAVE NOT RECEIVED AND HAD TO PUT UP WITH BEING TALKED TO IN THAT MANNER. TOTALLY UNACCEPTABLE AND I EXPECT MUCH BETTER FROM LENSCRAFTERS. I ordered a pair of progressive glasses on January 10, 2018 and it's now February 2, 2018 and still no glasses. I contacted Lens Crafters at Colorado Mills Mall multiple times during this period and have gotten nothing but excuses on why they haven't received the glasses back from the lab. So, I don't have my glasses, which I desperately require for reading and are paid for in full. I paid a lot of money for awful service with no clear answers or solutions to an on going problem with is company. I have ordered glasses there two other times previously with the same exact results, untimely delays. I will be sure to file a complaint with the better business bureau and inform everyone I know of the awful service provided by your organization and no compensation for my inconvenience. I have been a customer of many years. 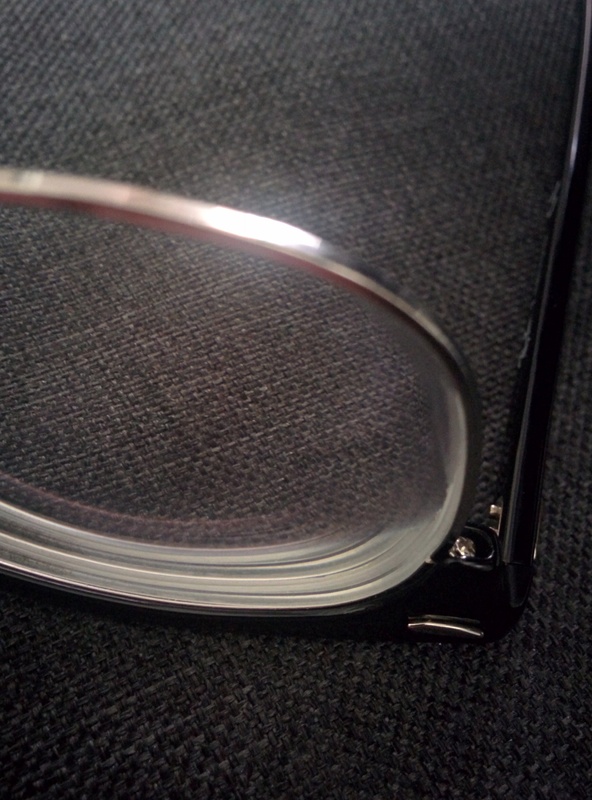 I bought two pairs of glasses in march.one pair had a scuff on the lens, I was told I have to buy new lenses , I think I should get some consideration on this problem. I am very unhappy with my Oakley glasses with scratch resistant progressive lens purchased on 7/10/2016 at the LensCrafters Store at the Coastal Grande Mall in Myrtle Beach, SC. These glasses were expensive and with having the backing of two known companies. Oakley & LensCrafters that I could trust with my eye sight, I had felt good about my purchase and that I purchased a good pair of quality made glasses. I guess I was wrong, because at the time of purchase I did not get the LensCrafters care plan because I had asked if the progressive were scratch resistant. I was told yes they are and that made my decision on the care plan, less than 90 - days in to wearing and caring for my new glasses very carefully, the scratch resistant lens developed light scratches that were affecting my eye sight, how could scratch resistant lens scratch. As I have not abused them and have been very careful with cleanings, my wife and I both went together to purchase new glasses at LensCrafters. 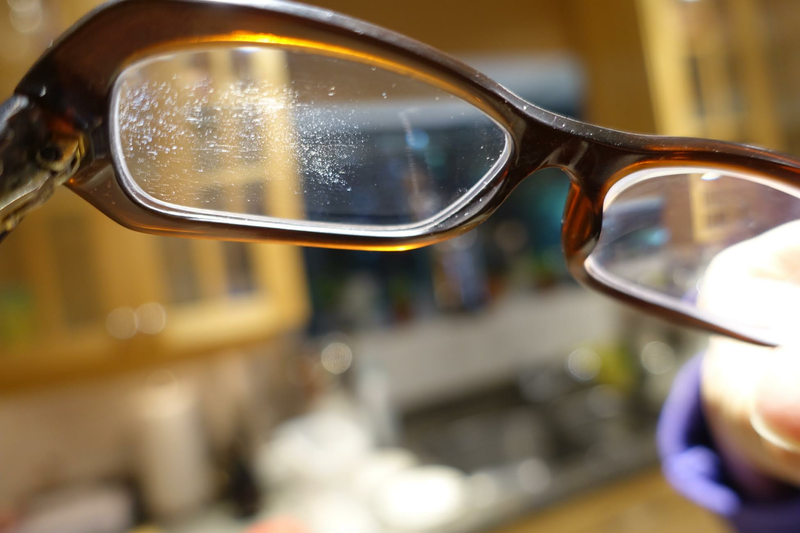 She has non-scratch resistant lens and has had no issue's with them, having been upset about the scratches we went back to LensCrafters on 10/3/2016 hoping the scratches could be buffed out. The associate said that buffing progressive lens would warp them, he then showed them to two other associates who could also see the scratches and said they had no swirls to them, meaning the glasses weren't droppe on the pavement and that the scratches were straight and then asked when were they purchased and if I had the care plan, I said no due to the fact that I was told the lens were scratch resistant. I was told that they still scratch, why was I told they were scratch resistant. I thought I was purchasing a good pair of quality glasses, he replied with you should have gotten the care plan. I told him I have never had lens scratch like these have just by cleaning, he came back twice with. An associate looked in to seeing if I could buy a care plan, but said I could not - only said the 14 - days from the purchase date had expired, I asked what it would cost to just replace the lens, because they are affecting my eye sight and are worthless to me like this, I was told to replace just the lens was $544. All that was done for me was a quick cleaning - handed my glasses back to me and said sorry nothing we can do. I will never recommend or purchase eye care products from Lenscrafters ever again, there is no service after the sale. Their warranty is good for only 30 days - this isn't a used car - other competitors have longer warranties. I can see that LensCrafters does not stand behind the products they sell, I feel betrayed by LensCrafters - they took my money and slammed the door in my face. I wasn't looking for something for nothing, I just wanted LensCrafters to fix my glasses and do the right thing to keep me as a customer. My Husband & I went to Kingsway Mall Location on Monday July 11, 2016. Hal has been a customer for several years and w'e were greeted and we proceeded to pick out frames. It was very busy that evening. Everyone was polite, and within about 1/2 an hour to 45 mins. A technician sat won with us, and did the normal & usual procedures and picked out the frames, etc. This was time consuming. At the very end, after about 45 minutes the Technician called the Manager over and they had a brief conversation and she was looking something up on her iPad and then said the following. We aren't able to order glasses for you from the lab. This was after giving us measurements, photos, fittings, and pricing. We thought we were "finishing up" and then she said. Yeah, we can't oder your glasses for you due to your Rx and our Processing Guidelines have changed. We were there 2 years ago & all was fine. His RX didn't change drastically., only a little. Where does that leave the Customer? Lenscrafters being the Largest Company in North America.....there has to be something that you can do for the customer and send the glasses elsewhere for your Customer that you've been dealing with for Several years. Don't just say...sorry about that. She would have left it at that. She did say "sorry about that". By the way...her name is Emily at Kingsway and the Store Manager's Name is Neil. Well her reasoning isn't acceptable, and if this was the case. Why didn't she tell us that at the start of our visit...and not 45 minutes to an hour later...after we were all said and done and almost ready to go up and pay for the glasses? Hal was there 2 years ago and ordered his glasses. His RX has changed only slightly. It wasn't until I questioned Her and said "What do we do now". I said...can you write down any notes or what you've done here or any helpful notes that we can take to "the Baker Centre...you think". She really seemed disinterested and disconnected. You must be able to do something to help your Loyal Customer? I want this to be sent to the CEO for his/her review. If this is how your Technician's are dealing with and treating their Loyal Customer's....I hate to see what the future holds. Again, Hal Whitford is a Long Time, Loyal Customer of Lenscrafters. What are you going to do to make this right? Came in today to Lenscrafters on 6/17 /2016. Asked for help and the woman, well she must had something on her mind she was very upset about. What? I don't know but was very rude if I couldn't wait. Oh well I never come to another one of your stores again an this will be going on Facebook to tell everyone how bad the service was at the local store. On 12/10/2015 I purchased a pair of glasses for my wife at Lenscrafters. Price of the glasses was 276.00 Medicare pd. 138.65. I pd 134.52. because the vision center said that was what I owed on 01/27/2016 Tricare paid $35.37. The total that I should have paid was $99.15. I have not been able to get any help from the Vision Center located at 1041 US Hyw 27N Avon Park, Fl. 33825. I would like my credit card credited 35.37. I purchased Progressive eye glasses approximately 2 and a half years ago at the Kanata Ontario location. The problem is the protective coating has bubbled and caused an uneven film on the lens. I went back to complain about it and they said there is nothing they can do and its possible I may have got hair spray on them. Because of this I will never purchase eye wear there again. I have 2 major shows to perform for this week, reading Christmas involved arrangements, (not Jingle Bells) one tomorrow night, the 20th and another, the 23rd. I am having quite a difficult time. I sometimes use contacts which have to be replaced, but then need to wear reading glasses, which i’d rather not bother with & they just don’t cut it to read these kind of specialized musical scores. Is there anything that can be done to expedite a replacement? Again, will appreciate your consideration. After many years of having glasses “adjusted” as well in other countries, Europe, Mexico, and the U.S., I have never had this unfortunate incident happen to me. North Vancouver, BC - Marine Drive location. This complaint has to do with an employee’s incompetence. As a result my 1 lens of merely 8 mo. old is destroyed. I simply went to adjust my frames which were hurting my ear. An employee named Brenda put way too much heat on the lens itself. As a result it is destroyed. I cannot see through it, cannot drive, having trouble accomplishing my work, cannot even barely see computer to send this. I have just now phoned 4 very reputable optical stores. Each explained that there is a note for ALL staff stating: DO NOT PUT LENSES TOO CLOSE TO THE HEAT. This employee is massively covering up by saying that she warned me. She warned me for what? Never stated about the anti-glare being destroyed. It is now a total blur. I need to request that you replace this damaged lens. I don’t buy into that I was warned. I have had many different eye glasses adjusted about 100x with yes, older frames too. It’s never gone to this. I can show you a receipt of the both lenses being replaced with a new prescription last May. They are virtually NEW, not old - about less than 8 months. I can scan and send it promptly. Who can I speak to in order to rectify this? I have gone to Lenscrafters for many years, a faithful customer for my eye glasses. It has never gotten to this terrible misfortune, actually a tragedy because I CANNOT SEE period. Who can I speak to? What management looks after this? I believe i have a very valid problem which needs to be rectified by a replacement lens, not one which requires payment. I will appreciate your consideration. It is NOT my problem, even though your staff is trying to say it is. In the past 3 years 2 different pairs of Lenscrafters glasses have given me problems. The issue is the coating on the left lens only keeps coming off. I use wipes for lens. I went to the store in white marsh mall, white marsh maryland last night. To have these replaced first they tell me with even having the insurance i have to pay a 25.00 copay. Why? Also when i got my glasses they had been done in 1 hour. Now they are telling me it will take up to 10 days to get my new lenses. Is this a change in Lenscrafters corporate policy? I do not understand that when they made them in one hour. I have a serious problem with my left eye i need them fixed before my retina specialist appt. next friday the 11th. They do an eye test with your glasses on i can not see properly out of this left lens with it like this. I need help from the manager in my area. I can tell you that this is not the first time this has happened and only the left lens. Never the right. I would very much appreciate it if someone at Lenscrafters corporate offices can contact me about this issue. I went into the St Clairsville Lens crafters. Upon getting a worker to assist me I told her I had been in there several times getting Glasses. The attendant informed me I would have to take another exam before I could get Glasses. I informed her that it has been about a year since my last exam and I had Lasix surgery before my last exam and would not need an exam as my vision wouldn't change and all I want is glasses to make things just a little more clearer so she checked my chart and found I was eligible for glasses. Then I asked about the 40% off and she said since I was using an insurance card I would not get the discount or be able to get a better pair of glasses with the 40% reduction in price. I have used Lens crafters for years but no more will I deal with Lens crafters. The Lady who served me was rude and I felt was not truthfull about using any discount that was available. I may not have much influence on other people but I assure you I will tell all whom I am able about this. I am done with Lens crafters. Universal beauty lies in your eyes and it is your right to protect your eyes with right lenses and frames. I found Lenscraft is the right choice when my friend suggested me to go for an eye checkup when i had an infection. Lenscraft has prescription glasses to designer eyeglass frames, complete eye checkup with better quality lenses and affordable prices. Lenscraft is one stop store for my eye check up diagnosis and to get the correct glasses. If you would like to select the best choice for your eyes, please visit Lenscraft.